O.S. Engines celebrate their 80th Anniversary by designing a limited edition O.S. Max-11AX Platinum. Each PLATINUM engine are marked with a serial number between W1936 and W2016, so only 80 of each world wide. It features a cylinder head, crankcase, carburettor and fully machined internal parts that do not sacrifice easy operation. Practical r.p.m. Range 2,500-18,000 r.p.m. O.S. Engines celebrate their 80th Anniversary by designing a limited edition O.S. Max-11AX Platinum. 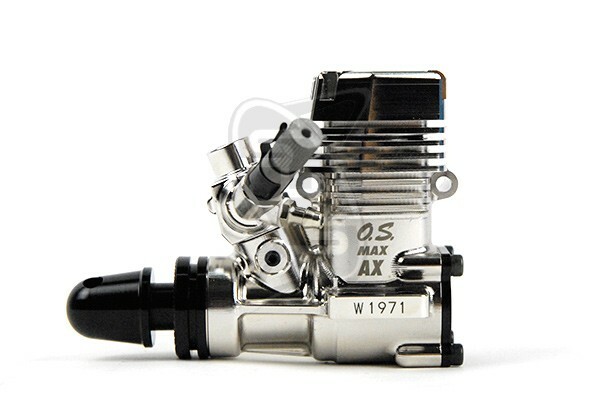 It features a cylinder head, crankcase, carburettor and fully machined internal parts that do not sacrifice easy operation.